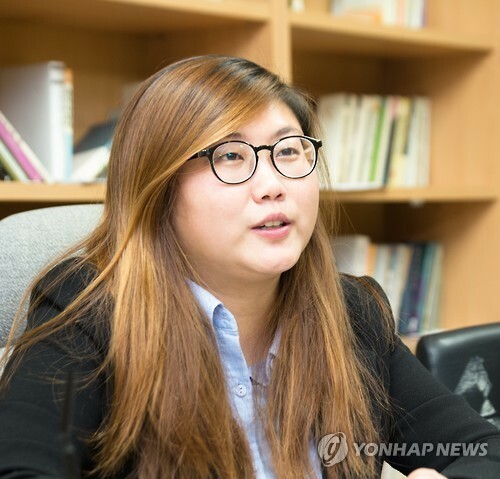 A lesbian was elected Thursday as the student body president of Korea’s most prestigious university, the first time someone from a sexual minority has held such a post. Kim Bo-mi, 23, the sole candidate for Seoul National University’s 58th student council election, won 86.8 percent of the vote in the election, according to the university’s election committee. The voter turnout in the vote held Monday to Thursday was 53.3 percent, with only 11.2 percent voting against Kim, 0.1 percent abstaining and 1.9 percent of votes considered invalid. Earlier this month, Kim publicly declared that she was a lesbian during her election campaign, expressing hope that SNU would become a place where people’s different lifestyles are viewed as beautiful and embraced. “I hope that people love themselves for who they are and live with confidence in this world. So I am telling you here that I am a lesbian,” Kim said during the campaign. The election had unusually high voter participation, reflecting students’ interest after Kim came out during the campaign. Voting ended without extending the voting period for the first time in 18 years, according to reports. She is the first openly homosexual student president in South Korea, a country that remains largely intolerant of homosexuality. A 2014 survey of some 2,000 Koreans aged 19 or older by the Asan Institute for Policy Studies think tank showed that only 23.7 percent of respondents had little or no objection to gays. The intolerance was notable especially among those in their 50s and 60s, with only 13.8 percent and 7.1 percent tolerant of homosexuals, respectively. But nearly half of those in their 20s were OK with homosexuals, up from 26.7 percent in 2010. A Gallup poll ranked Korea at 69th among 123 nations in terms of tolerance for homosexuality. Kim, who majors in child development and family studies, has been actively involved in the student movement to raise rights of sexual minorities and tackle sexual violence on campus. Kim’s one-year term will begin Dec. 1.